As an essential part of the Ultimate Bespoke experience, we are happy to share with you our weekly newsletter, presenting our latest innovations, tutorials and general updates. The Welt of a Men’s Dress Shoe. What is it? 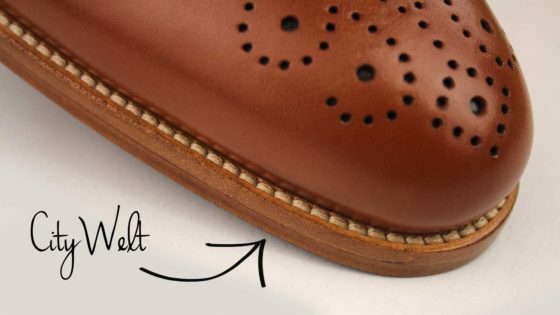 In well-constructed shoes, the welt is a strip of leather which runs along the perimeter of the outsole. Its primary function is to attach the upper to the outsole and create a greater durability. 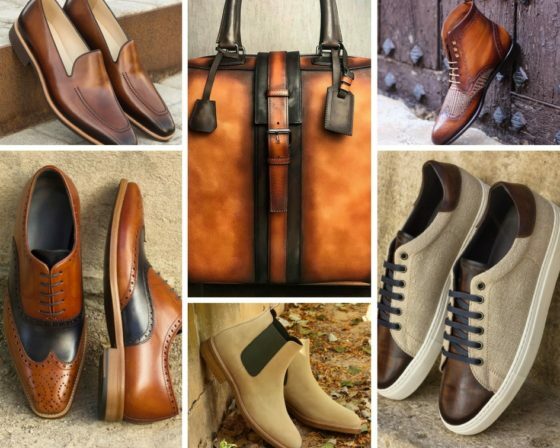 Until now, the welt has been a standard non-configurable shoe piece in all of our men’s dress collection. 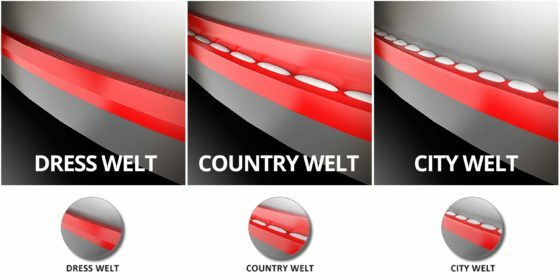 From now on, you will be able to choose among 3 welt styles: Dress (the standard one), Country and City. 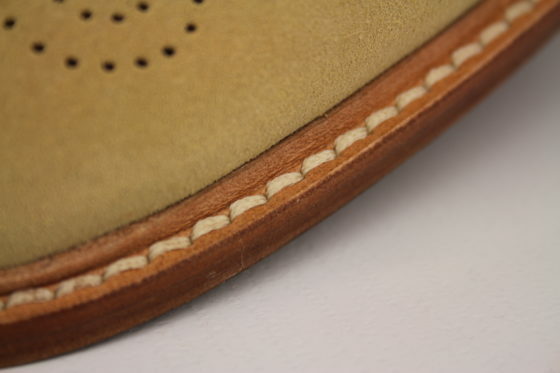 Furthermore, color of the welt is also customizable, as well as the color of the outsole. 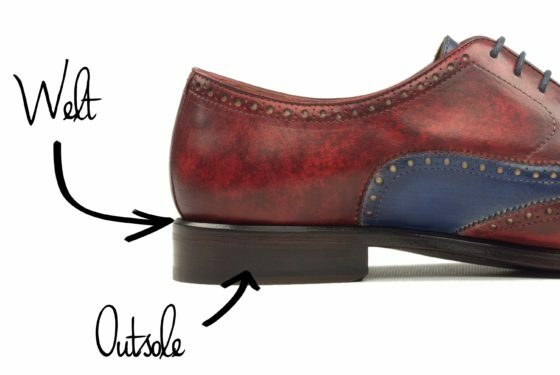 Although it is totally up to you, it is still possible to match the color of the outsole and the welt. When selecting a Sole Unit on the right-bottom widget, you will be presented with the Welt Selection Widget. Bear in mind that only available welt styles for the current sole unit will show up on the list. 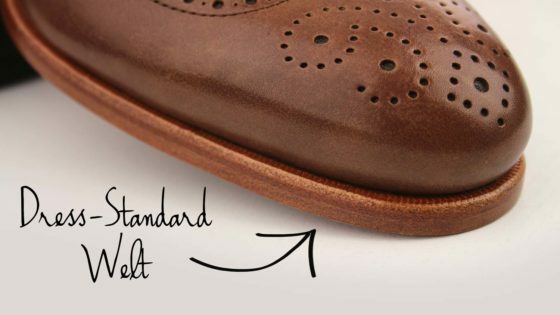 In addition to selecting the appropriate welt style, you will need to select the color of the welt, just as any other shoe piece. 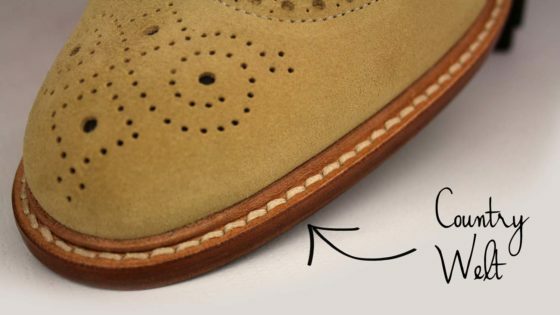 By default, the color of the welt is matched with the color of the outsole, which is the usual configuration. However, you are free to create unique color combinations of Welt/Outsole using your 3D Designing Tool.